Dr. Elizabeth Cooksey is a Clinical Instructor in the Department of Large Animal Medicine and Surgery in the School of Veterinary Medicine, where her primary focus is on ambulatory rotation with sixth-term students. Her professional interests are in mixed animal practice, with a true passion for dairy cattle medicine, specifically dairy cattle production in relation to cow comfort. Prior to her position at St. George’s University, Dr. Cooksey worked as a Research Veterinarian primarily with pigs and sheep as well as part time at a rural mixed animal practice in Wisconsin. Dr. Cooksey earned her Bachelor of Science from the University of Wisconsin before obtaining her Doctor of Veterinary Medicine from St. George’s University in 2015. 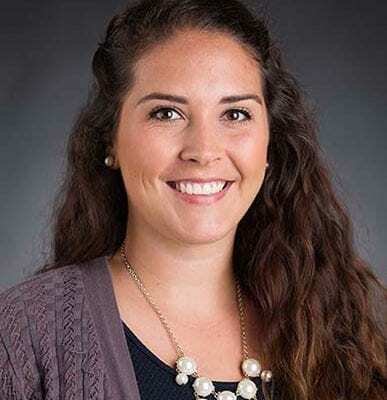 She is a longstanding member of the American Association of Bovine Practitioners (AABP) and has recently accepted the position of faculty advisor for the SGUSVM student chapter of AABP. She is serves on the SVM Academic Affairs Committee.